marta writes: january dollar downloads debut early. january dollar downloads debut early. one of my creative goals is to dream up cute and useful designs to feature as dollar downloads every month throughout the new year. it will be nice for me to put my crafty thinking cap on. hopefully they will be items you'll enjoy too. 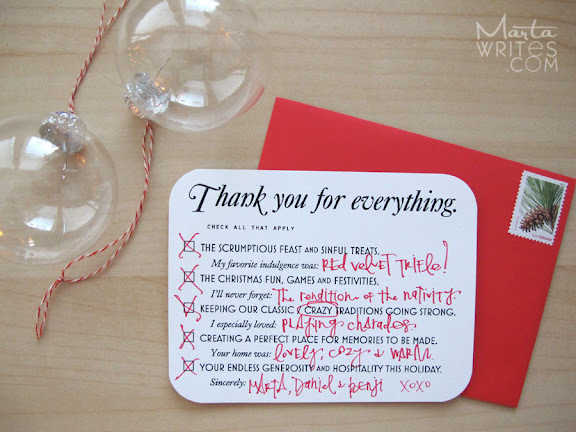 writing thank you notes for holiday parties and unexpected gifts is on my to-conquer list this week. i thought a check-the-box format would be more fun than something formal. simply download, print and customize it with your own cursive and thoughtful answers. (a perfect way to use up the rest of your postage stamps!) this download design has four cards per sheet; they will print and cut nicely into an A2 envelope. dolling them up with leftover ribbons is optional. 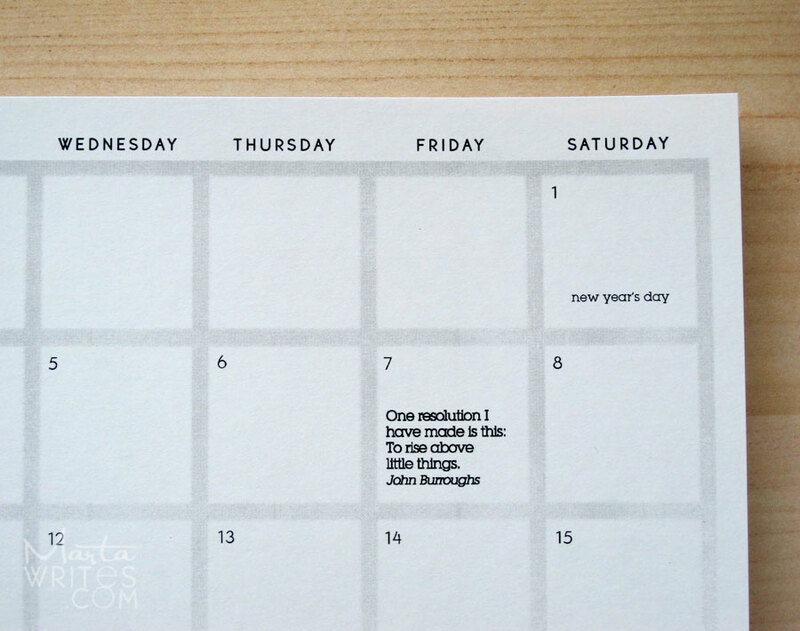 since i'm offering a january calendar page, i wanted to submit it early so you can get rolling with making january plans. i adore pretty glossy calendars–and this scratchpad version in no way can compete with those–however i prefer having an extra, loose calendar to jot dates and scribble on. i hang them on my bulletin board and save them all in a folder. at the end of the year, after reviewing all twelve pages, i can make a quick re-cap list of what we did that year. oh i just love your handwriting! such a precious download and a creative way to say thank you. Marta, just wanted to say thank you for being so friendly to me yesterday in Church and sitting next to me during R.S. When you told me your name the first thing I thought was "I wonder if she's Marta writes?" Not very many people are named Marta with no 'h' in the U.S. ha ha! :) Then out of curiosity I came to your blog and it was indeed you. I've enjoyed visiting your blog every once in a while for a few months now. Oh you are a gem. Love these thank yous you designed. The sentiment is perfect. 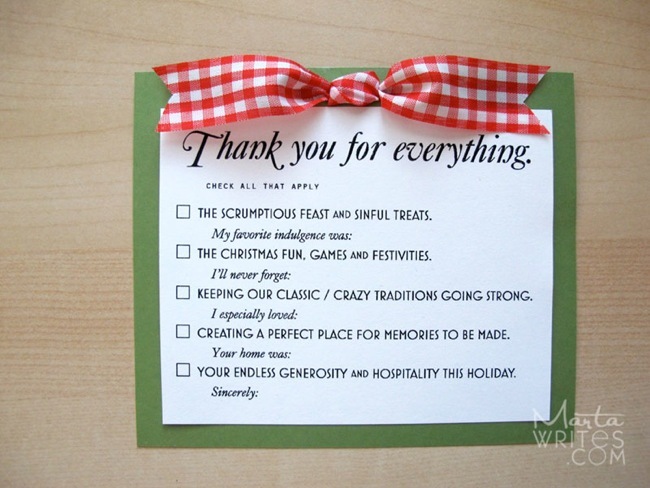 Now, where's the recipe for that Red Velvet Trifle you listed on your thank you? That sounds so devine. Thanks for such a cute note. Could you share where the pencils came from, too? thank you for the sweet comments! so glad you can use these downloads this season. @jamie.. the striped pencils came from my darling sister-in-law, they are Curly Girl brand. love them. they even have polka dot pencils too! 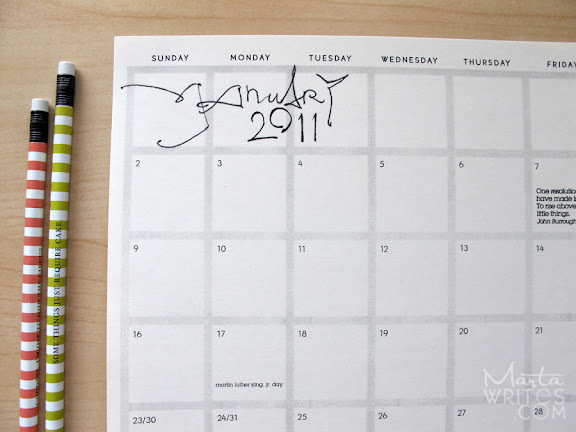 um, marta, can i just buy your HANDWRITING?! thanks for these cool designs!